As much as women fancy and have a tendency to show off their unique engagement ring, they also cherish and value their wedding band. After all, this band signified the joining of two people sharing their lives together, as one. Wedding bands are worn for traditional reasons as well as for a matter of etiquette. You want to select a wedding band that truly represents the joining between yourself and significant other. Whether you prefer a simple and relaxed wedding band or one with more spark and attraction, you can browse through our selection of wedding bands. 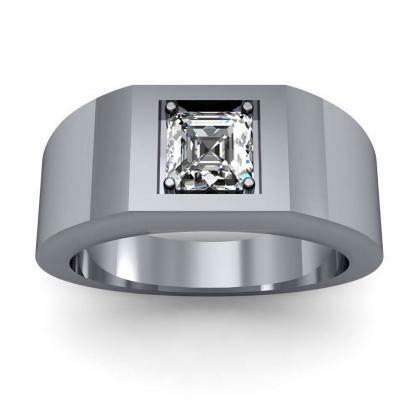 We offer wedding bands in a variety of styles, designs and colors for him, her and for both. If you have any questions or comments, feel free to contact us.